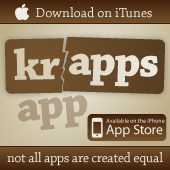 It’s cool to be seen on KRAPPS … the ONLY web site dedicated to iPhone humor by presenting viewers the weirdest, whackiest, stupidest and strangest applications. 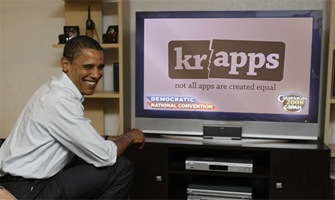 Take advantage of our unique niche by advertising on KRAPPS … heck, even the President thinks we’re pretty awesome. KRAPPS offers four different advertising packages (Platinum – Gold – Silver – Bronze) to ensure participation at a variety of budget levels. 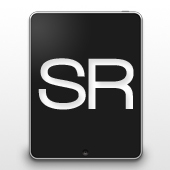 Currently there are three banner sizes (970×125, 170×170 and 170×100) and a “skin” option available, each in various advertising zones. 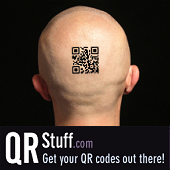 Our media kit and rate card offer complete advertising information. To receive your copy, contact us at info@KRAPPS.com.